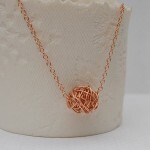 A simple and striking handmade rose gold filled wire wrapped necklace. 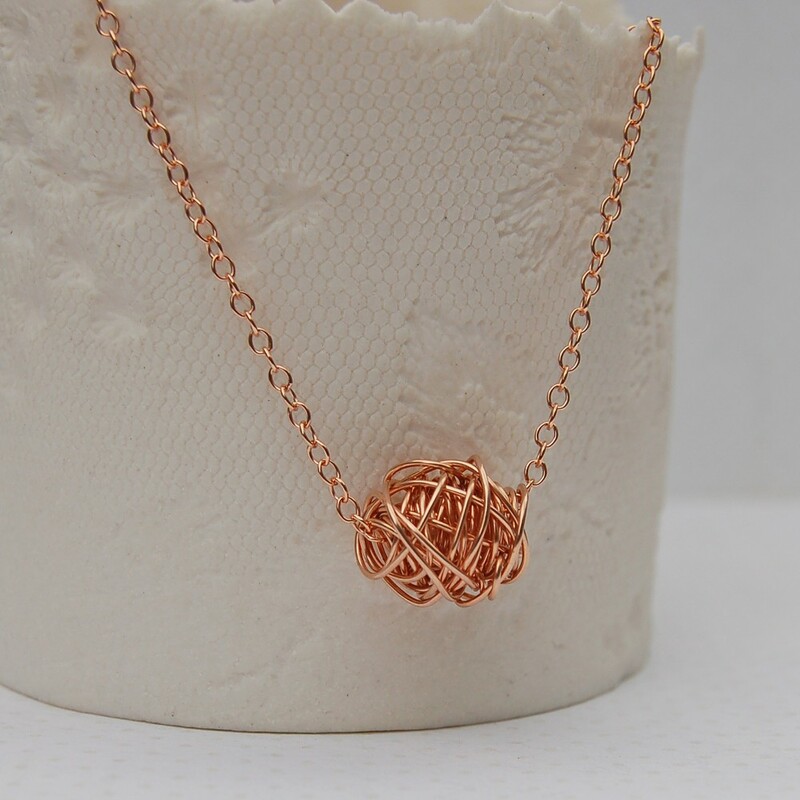 From our Entwined collection this stunning necklace is made from a length of 14ct Rose Gold Filled wire which is carefully hand weaved and woven into a delicate, slightly oval shaped pendant and strung directly onto fine cable chain allowing it lots of movement. 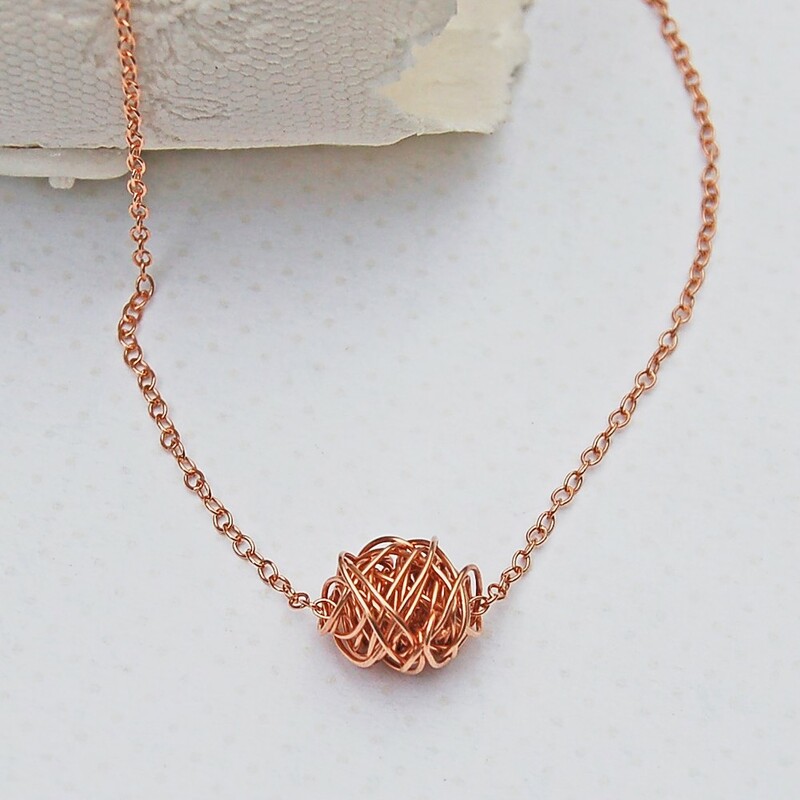 Each pendant will be uniquely different, like our journey's through life, with the wire taking different twists and turns which are all inseparably woven together. The 14ct Rose Gold Filled chain is available in a number of different lengths to suit all individuals. 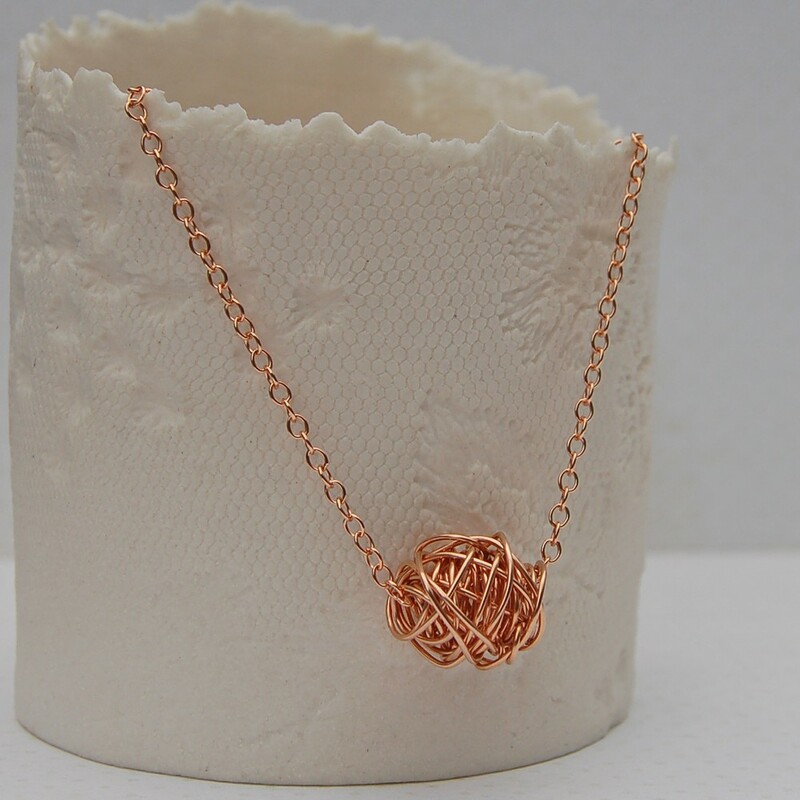 “Rose Gold Filled” comprises of a solid layer of gold (14ct) permanently bonded to a base metal, such as brass. The rose colour is obtained by alloying gold with copper. It is very hard wearing and under normal wear the gold will not peel or flake, unlike gold plate. 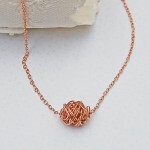 All components of this necklace are 14ct Rose Gold Filled. 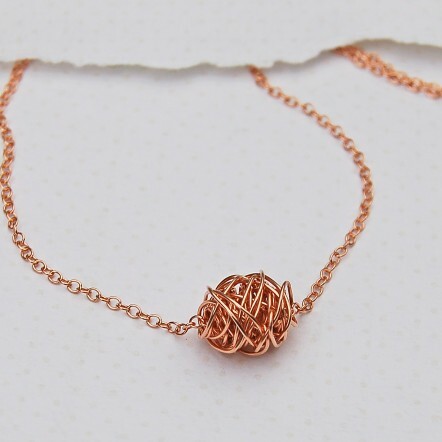 The wire wrapped pendant measures approximately 1cm long by 1cm high by 1cm deep. The cable chain is available in various different lengths.